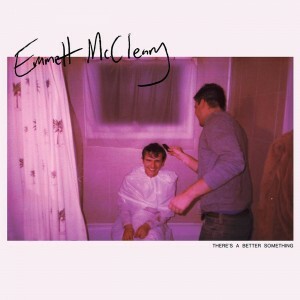 Emmett McCleary is of the opinion that it’s much easier to write a sad song than a happy one, though you might not catch it right away in his intricate, snappy tracks. The Newton native, finishing his university career here at McGill University, self-released his debut LP There’s A Better Something last month, just in time for Montreal to wake up from its eight-month long winter hibernation. The ten-track release, only 30 minutes in length, is a gentle breath of fresh air, and celebrates the return of the summery, sun-soaked 60s and 70s. McCleary more than proves his worth as a burgeoning professional musician, mixing the retro musical themes of his youth with the jangle pop overtaking Montreal’s Mile End. While he draws heavily from influences like Joni Mitchell, the Beach Boys, and Elliott Smith, McCleary adds a personal touch to his music; in particular, There’s A Better Something addresses depression and trying to find new ways to stay positive while navigating through school, love, and the dreaded Montreal winters (despite being a born-and-bred East Coast boy, he is adamant about moving to warmer climes after graduation). There’s A Better Something, McCleary’s first full-length album since changing his moniker from his high school project Easter, demonstrates a successful shift from a DIY-attitude to one of collaboration. Thanks to his father’s experience in the recording business, the album boasts a crisp, full-bodied production quality; a step up from the more homey sound of Easter’s discography. Additionally, the shift allowed McCleary to lean on the creative resources of Boston and Montreal’s fine music communities, rather than playing all the instruments himself. As a result, the instrumentals are more adventurous, tinkering with pedal steel guitar and experimenting with some different genres. The album opens with the the sweet, breezy “Candy,” an airy track that is anchored by the subtle theme of social anxiety present in the lyrics. The female background vocals, provided by childhood friends of McCleary, add another layer to a fairly straightforward track. “She’s Coming Home” provides a subtle electronic introduction before launching into a gorgeous ballad; this track is easily McCleary’s boldest piece of work, both musically and vocally. He momentarily leaves his breathy falsetto behind, adopting instead a gruffness that serves him very well. “Bright and Blue” moves like a country slow dance in the early morning, wistful and intimate. The echo and pleading chorus serve as a window into McCleary’s darker heart. “Twine and Straw” shows his edgier side, guitars smoldering underneath almost-shouted lyrics. Discordant melodies sprinkled here and there provide a nice contrast to the otherwise pleasant musical atmosphere on the rest of the album. There’s A Better Something ends with the title track, a short acoustic number that brings home the sweet melancholy that McCleary does so well. In fact, the entire album is a smooth navigation between raw emotions and catchy hooks. McCleary is wholesome, but never disingenuous. He advertises “earnest music for earnest people,” and what you hear is what you get: retro pop for the tender heart. This entry was posted in Reviews and tagged Boston, CKUT artist, Emmett McCleary, local artist, Montreal, There's A Better Something on June 8, 2017 by Juliana Van Amsterdam. Good Times is the debut LP by local duo The GTs. With this album, Samantha Diamond (drums) and Paul Trudel (vocals and guitar) tactfully capture the apathy, uncertainty, and subdued angst of young-adult life via indie rock. This very well may be a projection of my current outlook on life rather than what the Montreal duo intended; however, each track on this album appeals to the quandaries of young adult life in some form or another. Right off the bat, the opening track “Stoned” feeds into the album’s motif of uncertainty with the ever-so-relatable line, “I know everything, except when I don’t.” Trudel’s lyrics, accompanied by guitar and Diamond’s animated drumming, grasp both the inflated ego and self-doubt experienced by every young adult. Similarly, the upbeat track “Lonely” perpetuates a good-natured acceptance of simply not knowing what has happened to one’s life. The line “I’m way past twenty-one, wondering what I’ve done,” though partly comical, conveys the reasonable yet dispirited view one may have when looking back on the fleetingness of youth. What’s more, with “Charlie Kaufman,” The GTs concoct a wistful love song that perpetuates the well-known feeling of being adrift when lovestruck. This track’s soft and melancholic elements are augmented as Trudel’s voice channels the likes of Jeff Tweedy on Ashes of American Flags. Moreover, with “Monica,” The GTs produce a tune both delicate and sentimental. Though similar to “Charlie Kaufman,” this track’s maturity and minimalist structure are reminiscent of Yo La Tengo’s sound on And Then Nothing Turned Itself Inside-Out. Furthermore, on “Mom Song,” Trudel sings to his mom the very blunt line “I hope you’re proud you made me.” In a simple way, this lyric underscores every child’s longing for parental approval, possibly stemming from feelings of insecurity, which fits very nicely with the album’s overall theme. Finally, The GTs conclude their debut album with “So Long.” Together, Trudel’s voice, echoing Thom Yorke on “High And Dry,” and the increasingly blurred instrumental, foment a sense of disorientation as the album slips away. First and foremost, my interpretation of Good Times may misconstrue Diamond and Trudel’s intentions. Be that as it may, it just goes to show that Good Times, with its gentle strain of indie rock, is both engaging and (for some) able to elicit a strong emotional reflection. 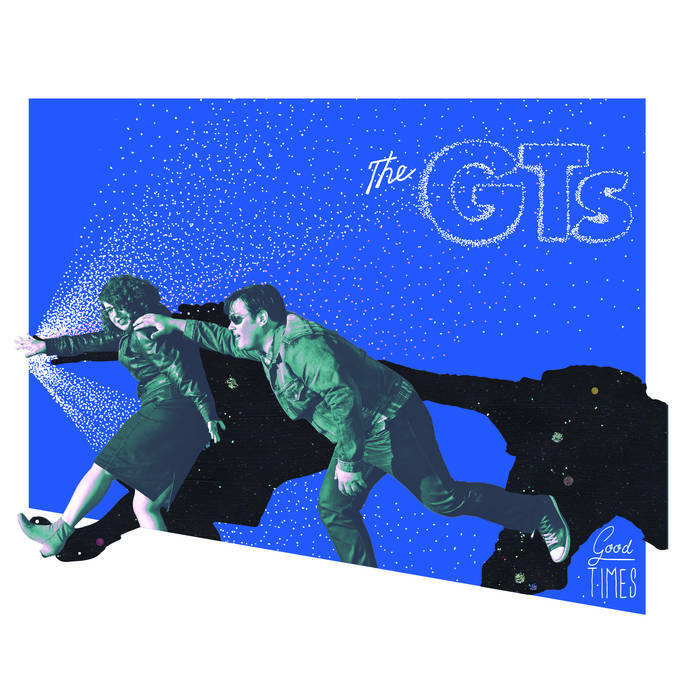 Therefore, if in search for an accessible yet nuanced blend of indie rock, then The GTs’ Good Times will prove to be an enjoyable listen. This entry was posted in Reviews and tagged Good Times, indie rock, Montreal, The GTs on December 14, 2016 by CKUT Music Coordinator. 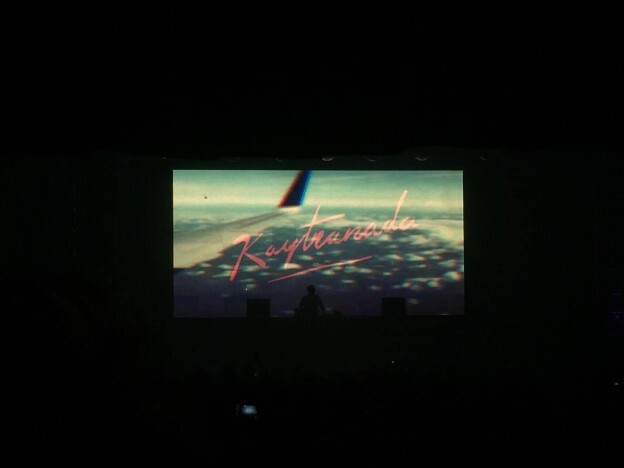 Final exams didn’t faze dedicated fans from attending a sold out show at L’Olympia from local electronic producer Kaytranada. Taking the stage at 11:20pm, the venue was packed to the brim with people eagerly anticipating the eccentric young artist to perform his latest mixes for everyone. Fellow local artists Planet Giza and Lou Phelps opened the show earlier on that night with their own sets to warm up the crowd. However, if you planned on catching just the main act then you would’ve had to bear waiting outside in line for over half an hour before stepping foot into the venue. Once inside L’Olympia, security pushed their efforts in patting down every single person before letting anyone onto the dancefloor. The crowd was immense, nothing but a sea of bodies could be seen in every direction and by the time my friends and I made our way inside, Kaytranada had already took to the stage with performing his mixes. We made our way up towards the front of the stage, the energy in the room was unparalleled to the show that Kaytranada performed back in May for the release of his debut LP 99.9%. By this time around people knew what to expect from the young producer, his debut album garnered widespread attention and has been making appearances on end of the year lists for the hottest albums of 2016. He performed fan favorites from 99.9%. The tracks “Glowed Up” and “Lite Spots” had the audience going ballistic and vibing hard off of the hottest two singles on the album. During another point of the show “Cranes In The Sky” off of Solange’s latest record A Seat At The Table had people grooving hard to the funky remix that Kaytranada was able to provide on the track. 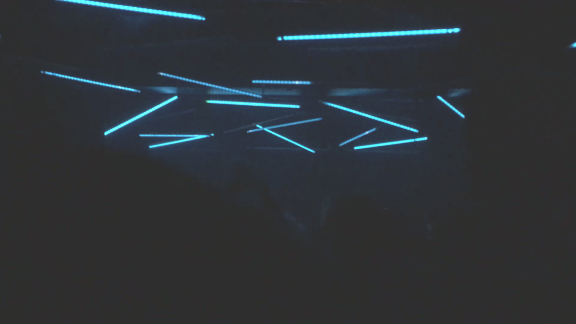 The liveliness of the venue was constant, everyone in the building was able to lose themselves to Kaytranada’s crisp production that has become distinct to the artist’s production style. After over an hour of material the show finally concluded around 12:35am, roars of excitement and cheer filled the venue of L’Olympia as Kaytranada thanked everyone for coming to the show. While it’s only been a couple of months since 99.9% dropped, the amount of playability that album holds is always refreshing when listening to his debut efforts. On a live stage all his songs translate exceptionally well to the dancefloor, which makes total sense. His music is meant to be danced to, meant to be played at parties, and most importantly is meant to showcase that Kaytranada is no one-trick pony when it comes to making music. This entry was posted in CKUT programming and tagged 99.9%, Concert, concert review, electronic, Kaytranada, l'olympia, Local, Montreal, olympia, Review, shows are more important than finals, solange on December 13, 2016 by librarian. 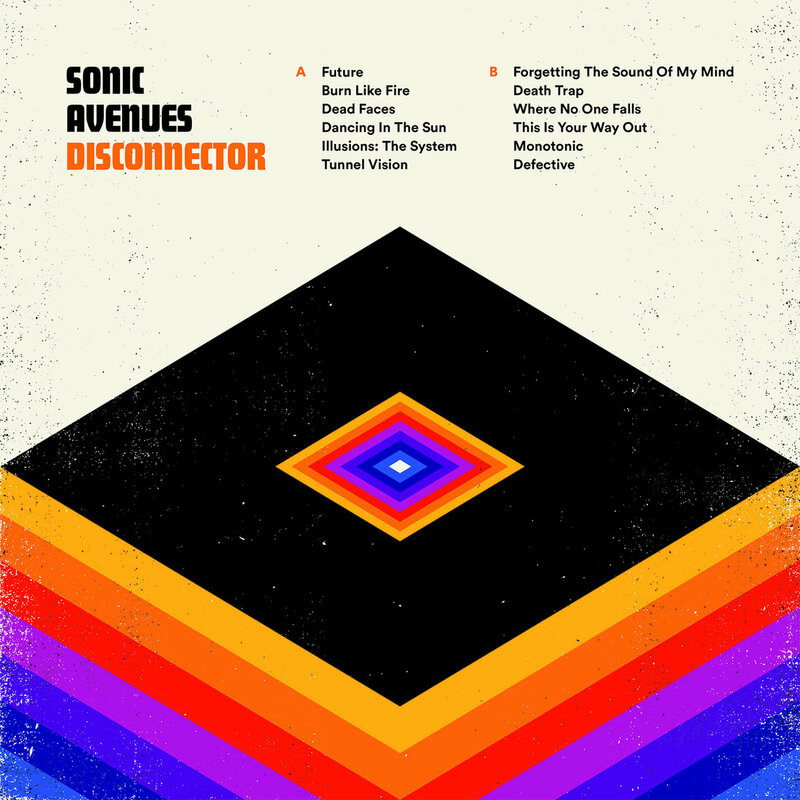 Disconnector is the fourth studio album by local band Sonic Avenues (comprised of Maxime Desharnais on guitar and vocals, Jamie Desjardins on bass, JC Niquet on drums, and Seb Godin on guitar). With this record, Sonic Avenues succeed in developing a tamer strain of punk-pop, ultimately resulting in a more mature sound than their previous efforts. Unlike its three predecessors, Disconnector’s novelty lies in its ability to fuse modern punk-pop with late ‘70s new wave. Drawing from the band’s punk roots, hints of the Buzzcocks are interwoven throughout Disconnector’s patchwork. This is most evident in tracks “Future” and “Monotonic” where Desharnais’ voice channels the piercing vocals of both Howard Devoto and Pete Shelley. Moreover, the twangy instrumental in “Dancing in the Sun” emulates the shrill acidity of late ‘60s rock (think The Kinks’ “Till The End Of The Day”). However, it is in tracks “Burn Like Fire,” “Where No One Falls,” and “Defective” where the band plunges into the shimmering pool of ‘70s new wave and reveals the crux of their album’s experimentation. The opening riff in “Burn Like Fire” electrifies the listener with a melody reminiscent of The Strangler’s “No More Heroes.” In “Where No One Falls” the band interlaces its punk-pop style with a trifecta of Devo, Gary Numan, and The Cars. Moreover, Sonic Avenues’ “Defective,” with its in Devo-esque overtones (think “Gut Feeling/(Slap Your Mammy)”), is a fiery concoction of new wave with a tinge of punk that could effortlessly slip into the soundtrack of any given Wes Anderson film. Owing to Sonic Avenues’ unprecedented decision to incorporate lighter new wave with its usual mix of punk-pop, the band’s fourth studio album lacks their previous angst and unruliness. Nonetheless, if you’re in search for an easy listen with lots of hooks and a dash of new wave nostalgia to complement your sunny Saturday afternoon, then give Disconnector a listen. This entry was posted in Reviews and tagged disconnector, Montreal, pop punk, sonic avenues, Soraya Mamiche Afara on October 28, 2016 by CKUT Music Coordinator. 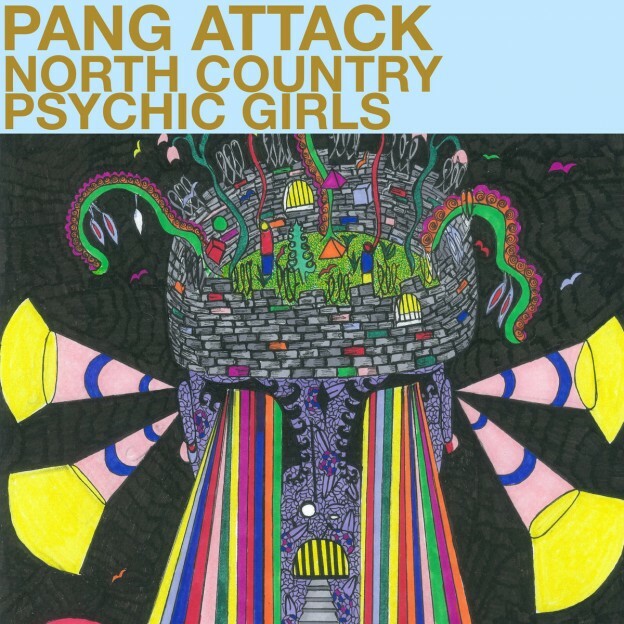 North Country Psychic Girls is the first LP by local band Pang Attack (comprised of David Clark on bass and keys, Yann Geoffrey on drums, and Alex Hackett on guitar and vocals). The title’s ambiguity perpetuates a fuzziness that is befitting to the album’s overall sound. For roughly 35 minutes, the album spawns a dynamic dream sequence that captivates the listener despite its incongruity. Although bound by the common thread of shoegaze and psych-pop, each track distinguishes itself from the rest by placing the listener in a different setting. In other words, the band escorts the listener on a trip through a boundless mind (as pictured on the album’s cover) with each song acting as a different turn on the way. The journey commences in “Monk Song” with a synth-based opening akin to 1960s spaceship noises. In seconds the semi-galactic beat transforms into a twangy tune laden with spaghetti western undertones. In a matter of minutes, we, the listeners, are swept up from wandering through a desert on horseback and reeled into “Stranger’s Song” where the trio, now accompanied by Erik Hove on sax and the Kate Maloney String Quartet, devise a sound reminiscent of The Smiths. Hackett’s voice, although not as whiny as Morrissey’s, harnesses a similar charisma which he maintains throughout the album. Soon another turn is made with “Frailty Revisited” where we’re drawn into a dimly lit room for a lovesick slow dance while cradled by an understated instrumental. Nonetheless, when this contemplative soirée comes to a close, we’re met by the haunting “Invaded Heart” bearing similarities in both sound and poetics to Billy Bragg and Wilco’s “Blood of the Lamb.” Then, with the summoning of trumpets, we’re consumed by the whimsical “North Country Psychic Girl.” In this dream pop gem, Hackett’s magnetic Moz-esque voice reveals nuances of that of Arctic Monkeys singer Alex Turner. With another sudden shift, Pang Attack plunge into “Mr. Mandible” where they foster a more recognizable blend of indie rock, channeling the likes of Kurt Vile and The War on Drugs. However, once the rendezvous with “Mr. Mandible” is complete, we’re beckoned by the melancholic “Hope Nights” to a lovelorn dive alike the one in “Frailty Revisited.” Here we’re entranced by a melody remindful of Pink Floyd’s “Brain Damage.” Although most likely a far stretch, the Pink Floyd reference acts as a sort of prelude to the finishing track “Time and Dementia.” Enveloped by a fuzzy calm, we wake up from our trance and digest the hypnotic journey until we’re shown to the exit by dissonant synths and strings. Clark, Geoffrey, and Hackett, with the help of numerous contributors, conceived an album both labyrinthine in design and nostalgic in sound. Due to the album’s complexity and variability, each track elicits a unique palette of emotions and conjures an entirely different spectrum of thoughts. Therefore, if one hankers a trip down the rabbit hole of sentimental bizarreness, then a listen to Pang Attack’s North Country Psychic Girls is recommended. This entry was posted in Reviews and tagged Montreal, Pang Attack, Soraya Mamiche Afara on October 14, 2016 by CKUT Music Coordinator. 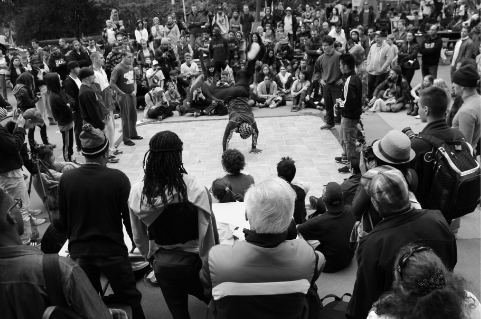 This entry was posted in CKUT programming and tagged hip hop, Hip Hop You Don't Stop, If You Got Ears, Montreal, September 2016 on August 31, 2016 by librarian.